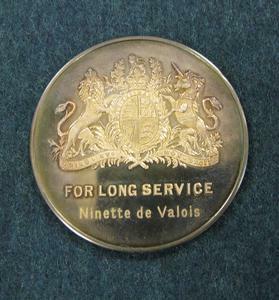 Silver medal with the Royal Opera House crest in relief on the front and engraved lettering 'FOR LONG SERVICE / Ninette de Valois'. 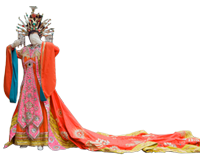 The reverse has a relief of the facade of the Royal Opera House, Bow Street, and is engraved 'THE ROYAL OPERA HOUSE'. Given in presentation case ROH/VAL/BEQ/39. Fair. The medal is slightly tarnished.